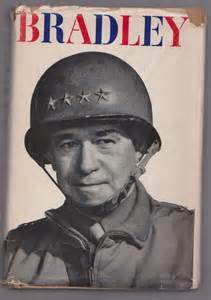 General Omar Bradley -"To ignore the danger of aggression is simply to invite it"
Five-Star General Omar Bradley died APRIL 8, 1981. 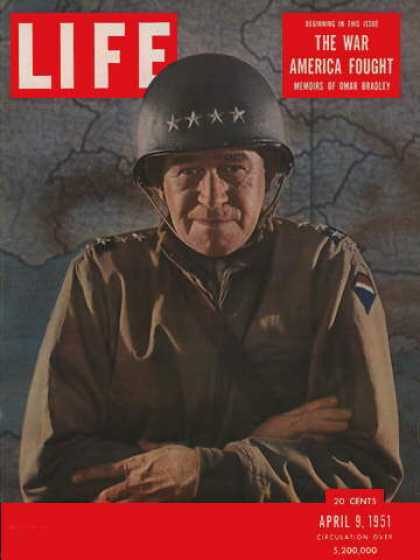 In August 1944, General Omar Bradley led the 12th Army Group in France and Germany, consisting of a million men in four armies. 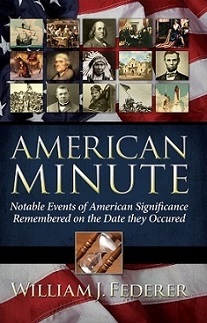 "General Bradley, you were the field commander of more American fighting troops than any commander in any era." 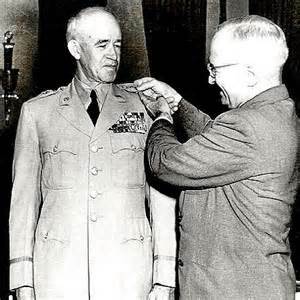 Born 1893, in his grandparents' cabin a short distance from Clark, Missouri, Omar Bradley would walk to school with his father. 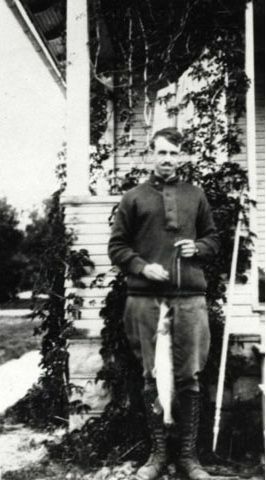 He helped provide food for his family through hunting and fishing. Bradley was 12 years old when his father died. He became a star player on his high school baseball team. 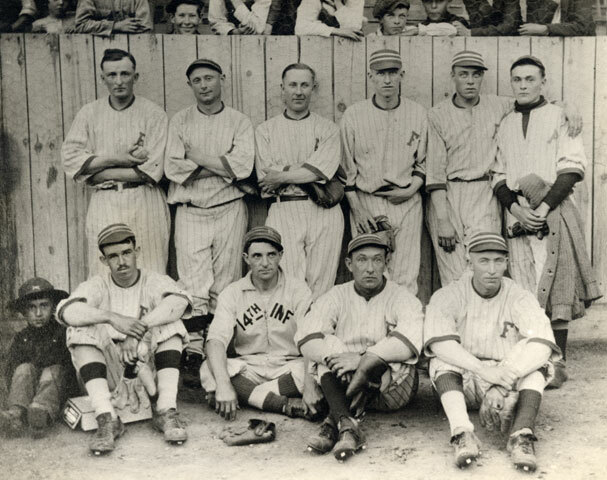 "The editor of the 1909 yearbook wrote of me, 'a good ball player, if he does not look like one.'" 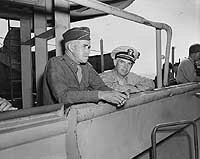 Bradley worked for Wabash Railroad, similar to another Missouri leader, Harry S Truman, who worked for the Atchison, Topeka & Santa Fe Railway. 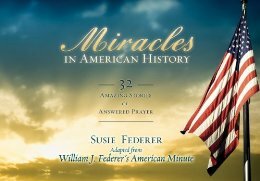 Mother, like all the Hubbards, was a Baptist, but she converted to the Christian Church. Although mother was not a devout woman, she was a regular Sunday churchgoer, as was I. 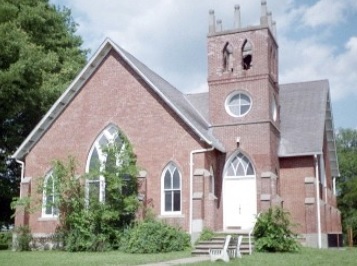 We joined the Central Christian Church, an impressive new stone structure with a soaring steeple and a large congregation." 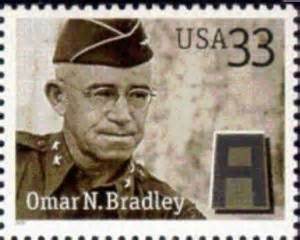 Omar Bradley's church attendance was providential, as it was his Sunday School superintendent at Central Christian Church in Moberly, Missouri, who recommended he apply to West Point. 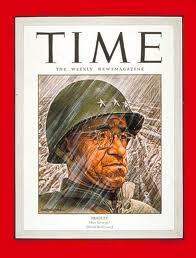 "I thank General Bradley, my old comrade in arms, my classmate from West Point, my great associate in World War II." 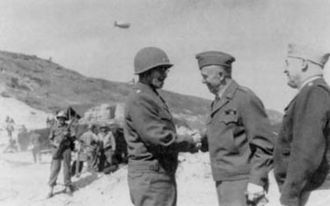 Bradley commanded the 2nd Army Corps in North Africa and was Senior Commander of U.S. Ground Forces for the invasion of France. 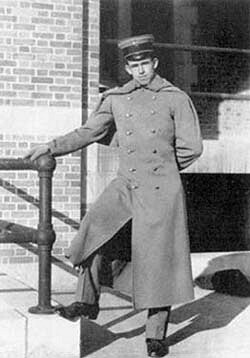 "Paratroopers left him with no immediate reserves ashore to call on. 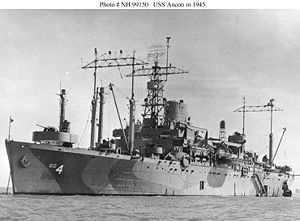 Allen's sector was thus a potential weak link in the beachhead chain. ... And yet I counted our blessings. All our forces had got ashore with negligible casualties and were displaying remarkable aggressiveness. Surveying the chaotic beaches with binoculars from the bridge of the Ancon I offered a silent prayer of thanks to God. 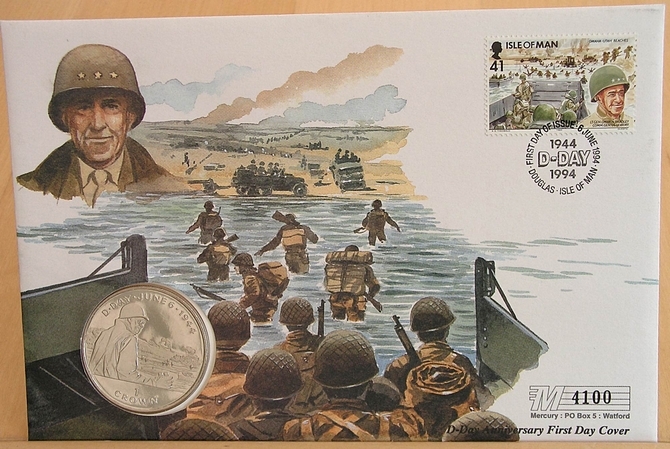 The Allies had returned to Europe to stay." "Dependability, integrity, the characteristic of never knowingly doing anything wrong, that you would never cheat anyone, that you would give everybody a fair deal. Character is a sort of an all-inclusive thing. If a man has character, everyone has confidence in him. Soldiers must have confidence in their leader." 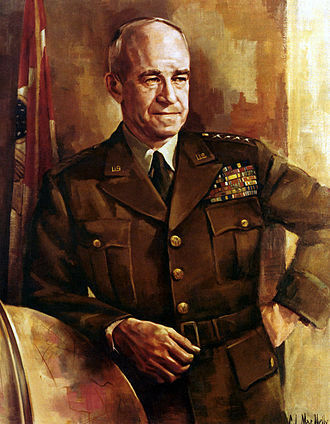 General Bradley was Chief of Staff of the U.S. Army, 1948-49, and first Chairman of the Joint Chiefs of Staff in 1950. "Military hero, courageous in battle, and gentle in spirit, friend of the common soldier, General of the Army, first Chairman of the Joint Chiefs of Staff, he embodies the best of the American military tradition with dignity, humanity, and honor." We know that unless free peoples stand boldly and united against the forces of aggression, they may fall wretchedly, one by one, into the web of oppression." "We have men of science, too few men of God. We have grasped the mystery of the atom and rejected the Sermon on the Mount. 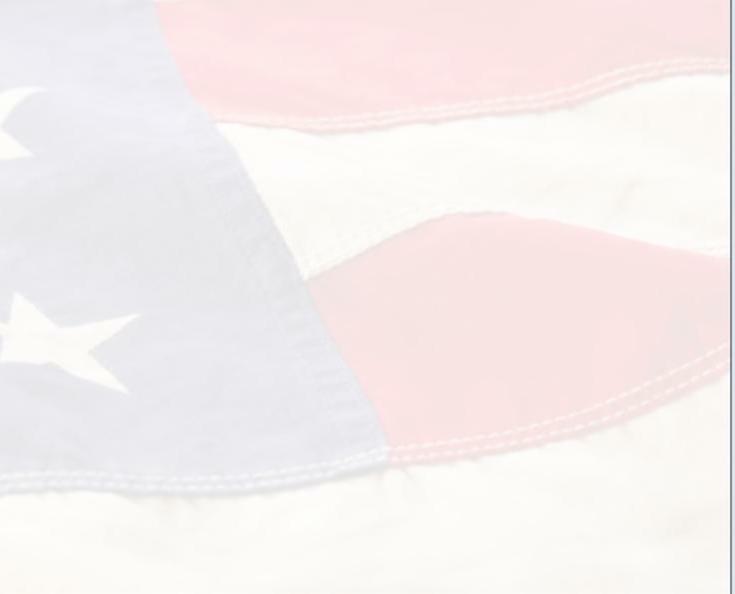 "In the United States it is THE PEOPLE who are SOVEREIGN ... The Government is THEIRS - to speak THEIR voice and to voice THEIR will."